minecraft animations | Surviving Minecraft, Minecraft Adventures! What happens to rideable pigs once horses are released with minecraft 1.6? This entry was posted in Minecraft Videos and tagged minecraft animations, minecraft horse video, minecraft rideable pig, minecraft saddles on May 18, 2013 by Hope. A guide for making your own minecraft animations and animated textures, this article contains step by step written instructions accompanied by pictures so anyone can make trippy sliding walls, shining armor, or doggies with flashing eyes. How do minecraft animations work? Simple! The minecraft animation system works just like a movie reel. You can ‘animate’ minecraft textures simply by adding more ‘frames’ to the item.png. The number of frames you add (and by frame, I mean vertically duplicated item image) will vary the speed of the animation. More frames means longer, smoother animation. Fewer frames means faster, more jerky animations. Click here to read more and learn how to animate minecraft textures! This entry was posted in How To and tagged animated minecraft, how to make minecraft animations, minecraft animated textures, minecraft animations on January 17, 2013 by Hope. Animated textures sure are changing the way we think and feel about minecraft, aren’t they? 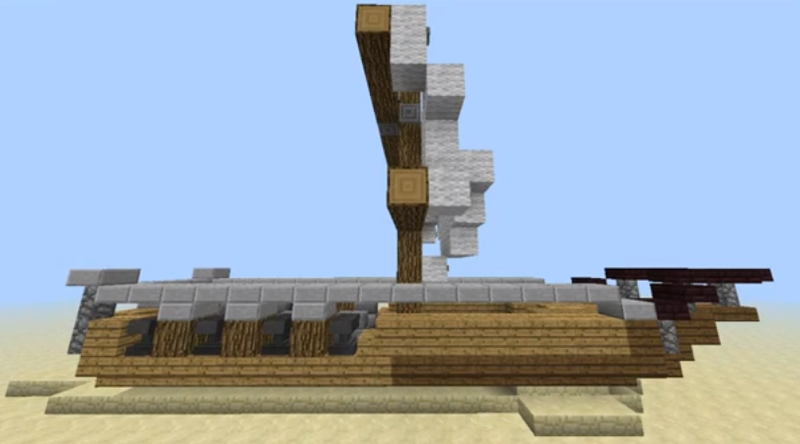 This video shows you a ship sailing on sand and a train travelling along tracks. It also contains an explanation of how the effect is created, so you cam make your own sailing ships and complex minecraft vehicles. This entry was posted in How To and tagged how to use animated textures, minecraft animations, minecraft sailing ship, minecraft vehicles on January 16, 2013 by Hope.